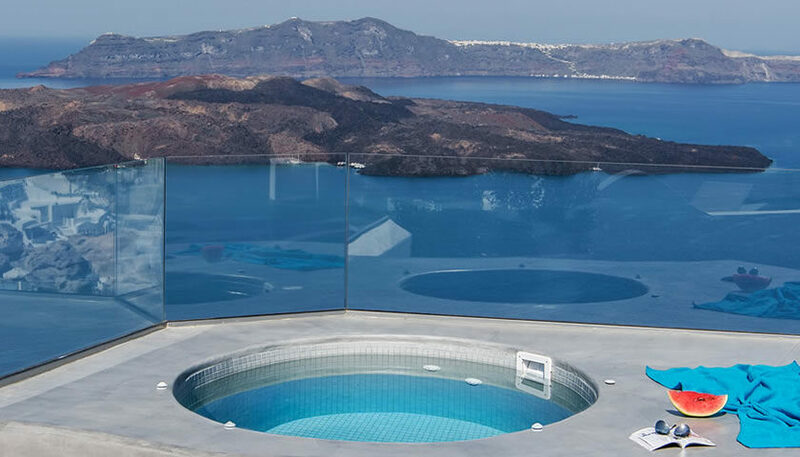 Modern rooms, some of which with outdoor hot tub. 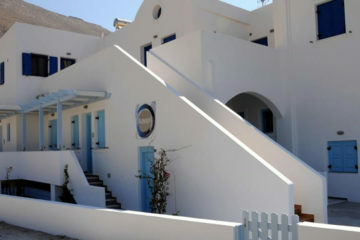 It is located in Fira, overlooking the caldera and Aegean Sea. 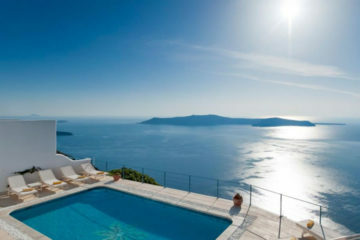 Specify the dates of your visit to Santorini to check availability and prices of Villa Irini.